Today, we are now evolving into the world of more advanced technology. Many people in the line of business, education, medicine and other fields have taken on a new journey to make their jobs done more effectively and efficiently. The database is, by far, one of the best innovations made by man, but despite these advances in information technology, many users are still insatiable and would look for more ways to improve how things are usually done. That’s why database integration was conceptualized. With the use of database integration, users will have ample time for storing, extracting and manipulating data from one database application to another. Database integration is the newest innovation to make filing of significant data easier. The concept of database integration implies the capacity of database software to access relational and non-relational data from one application to another. With the use of the integration of databases, users will be allowed to transfer information from one application to another faster and more efficiently. In the database management system, the access of data is in the form of query, but today, most developers use active tools, and but by using database integration, users can store data from multiple applications as well as integration across databases. 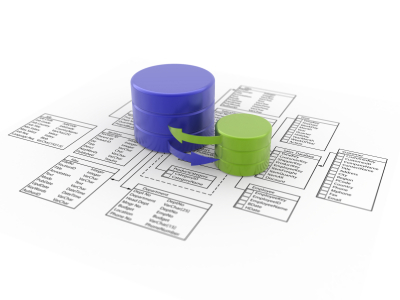 If you’re planning to use the database integration, you need to have a schema. This schema takes all the applications of the client into a single system. The result of the integration may be general or complex. In database integration, the system is controlled by a separate tool, while the changes in the database are negotiated by the database controller and the various applications used. Because of database integration, users will not have to give extra effort and time just to access different applications. Users can instantly share files without adding an extra layer of services for applications. With the use of the database integration, all data will be synchronized. Because database integration aims to enable users to gain access through the World Wide Web, they must have these important factors. Database integration developers should strictly maintain integrity and quality of data. Developers use quality assurance tools to make database integration more efficient. Developers will be using authority tables and measure the level of precision of each data. Database developers should also have flexibility, and what do you mean by flexibility? This means that database developers should have the ability to standardize and operate one application to another through the use of interchange standards. With the use of database integration, the user will have the ability to manipulate data through the integration of the database management system and other significant management tools as well as analytical, visualization and modeling tools. Database integration also allows users to utilize data structures that are compatible to current applications. Furthermore, database developers should also have the ability to modify data management through researches and management queries. Database integration is, indeed, one of the most useful innovations provided by technology, so developers should maximize its potentials. Soon, this concept will become a part of every software application.